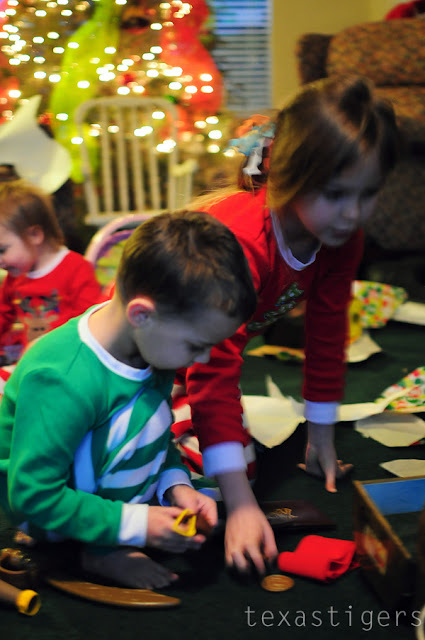 Christmas eve, the littles and I worked in the Church nursery. Then we headed home for dinner, bath and bed. 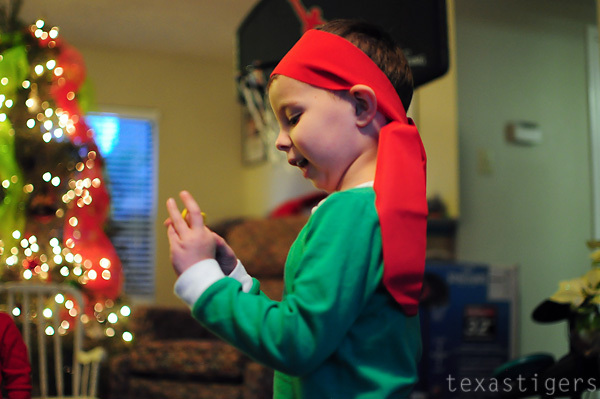 When they woke up, Santa had arrived. 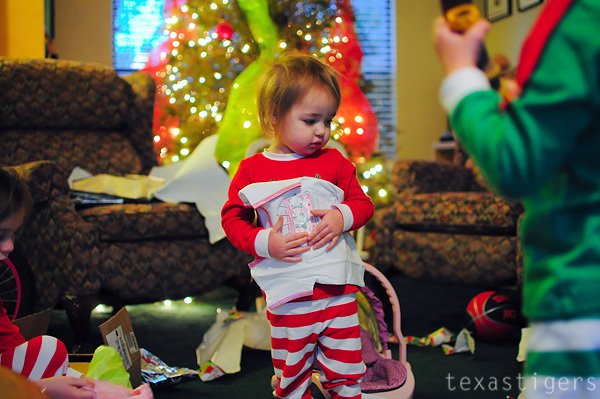 They came and woke us up and ran downstairs to see what Santa had left. Poor Micah was sad for a brief minute not realizing the basketball goal was for him. :( But he cheered up and was very excited when he realized it was his! 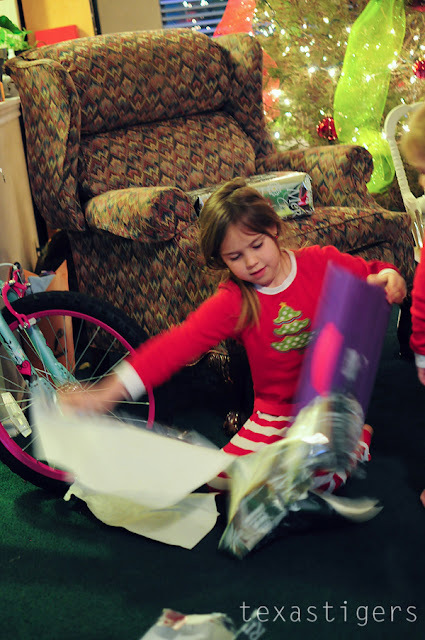 It was sweet seeing them open their presents and their excitement about their new gifts! We enjoyed a lazy, cozy family Christmas morning. After present opening, we had some breakfast and they played with their new toys. Then I finished packing while Beau took them outside so Abby could ride her new bike. 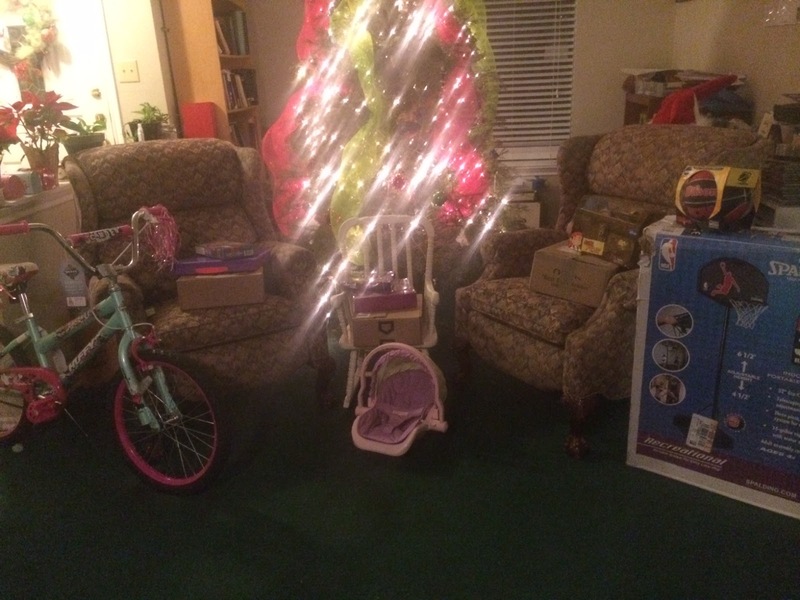 Then it was off to Gigi and Pop's house for round two and Christmas with them!